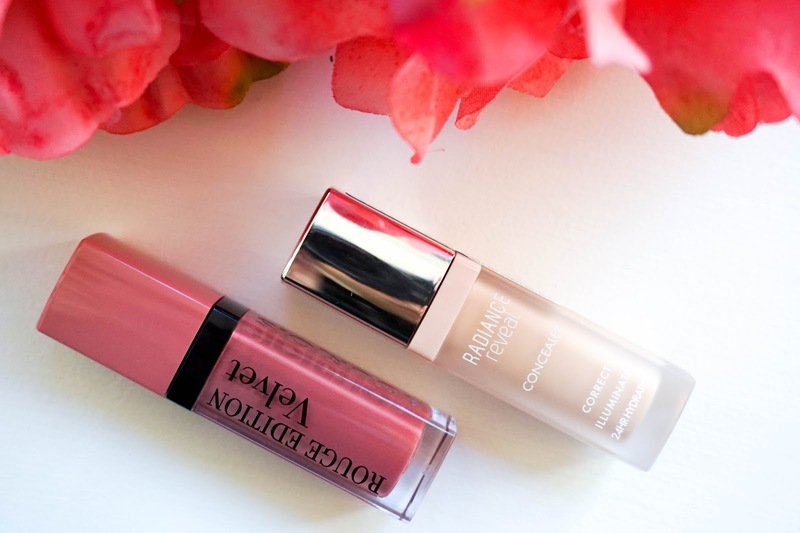 Bourjois was one of the first brands I had to browse because I really wanted to get my hands on their new Radiance Reveal Concealer, which I picked up in shade Light. I'm actually running low on the few concealers I have in my collection and wanted something that felt lightweight on the skin whilst illuminating my under eye area. From the reviews I have read, this seemed like a great option and so far I am loving it... it provides enough coverage for my dark circles but doesn't feel cakey or drying. 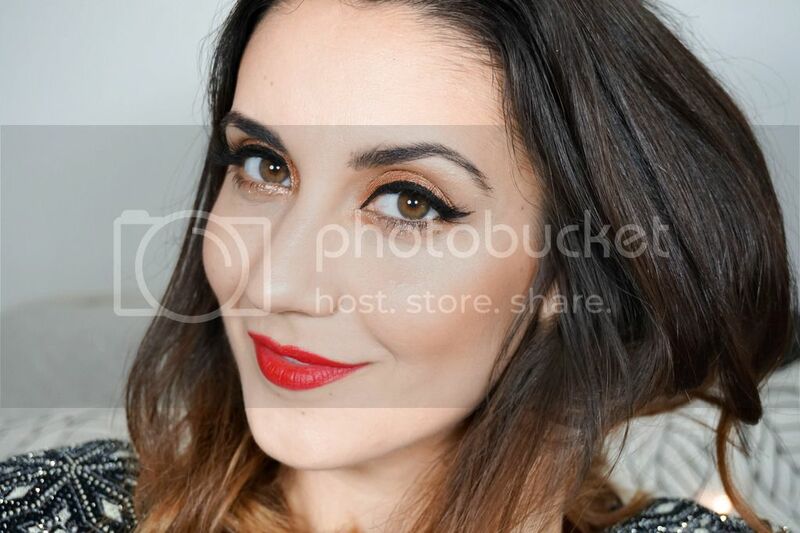 Having it in shade Light means that I am also able to use this as a natural highlight for the face. Plus I also think the packaging is super pretty and looks quite luxurious considering it's a budget brand. I have no complaints here, as it gets a definite thumbs up from me. Of course there was a buy one get one half price deal, so I went ahead and picked up the Bourjois Rouge Edition Velvet Lipstick in shade 10 Don't Pink About It (what a cute name right). I have one of these lipsticks in a super bright pink shade, so this is actually not a new products as such because it was released a while back. However I love the formula and I wanted to pick up another shade that was a bit more natural, so I could wear it with my day to day makeup looks. The only thing about this lipstick that can be off putting is the scent, I kind of forgot how strong it is when you're applying it so it's a good thing it fades away. I'm enjoying this shade so far and as I mentioned already, I love the matte formula and mousse like texture. It feels comfortable to wear and doesn't dry out my already dry lips, so win-win. 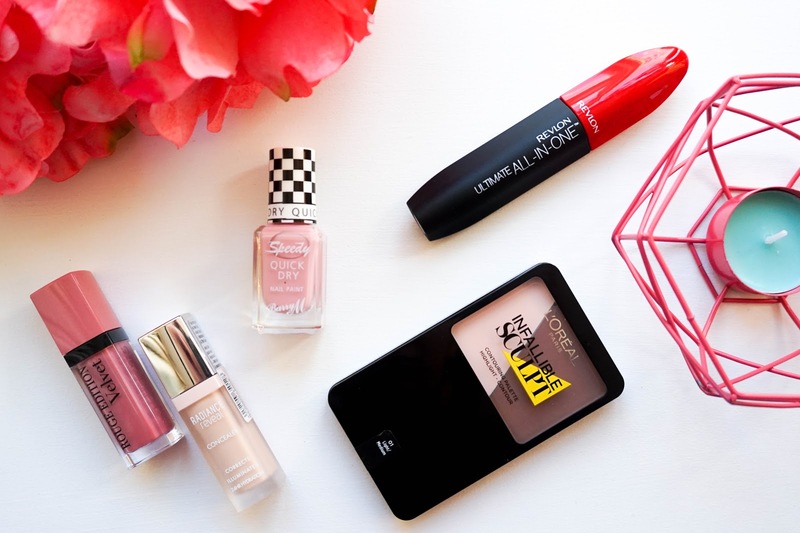 Spring is almost here (or so I keep hoping and telling myself) so I had to check out the new Barry M Nail Collection for the season ahead and I fell in love with this gorgeous dusty rose pink shade named Freestyle from the Speedy Nail range. I've been quite bored with my current nail polish collection and as a result hadn't painted my nails in forever, so it was nice to finally treat myself to a manicure and pop on this beautiful polish. 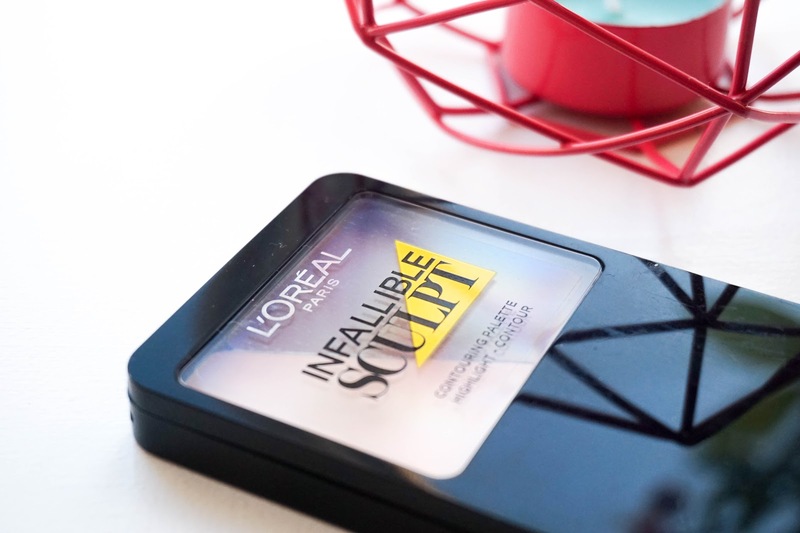 It's the perfect spring shade for me and I already love the formula, which really is fast drying as the name suggests. It's also quite an opaque shade and I can definitely get away with just wearing one coat as I am in the photo above. 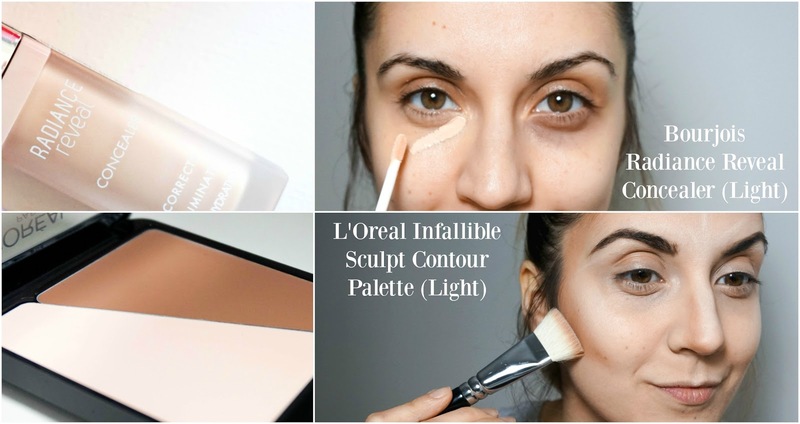 Next up I had to check out the new L'Oreal Sculpting range because I have been reading reviews everywhere and they all sound pretty amazing. I was tempted to pick up the entire collection if I'm honest, but sensibility stuck in and I only opted for the Infallible Sculpting Palette in shade Light/Medium. I was quite intrigued to try out the cream to powder formula as I don't own anything like it in my collection and I have to say, it doesn't disappoint. Super easy to blend into the skin, so it makes sculpting the face an absolute breeze. What I don't really like though is the packaging, it feels and looks quite cheap. I mean I know it's a budget brand but at the same time it's L'Oreal, so I think the packaging could have looked a bit better. Not to mention that there is just no need for 1/3 of the compact, which contained a little booklet (not a brush as I had originally imagined). Overall if you can get past the disappointing packaging, there's a great product within. 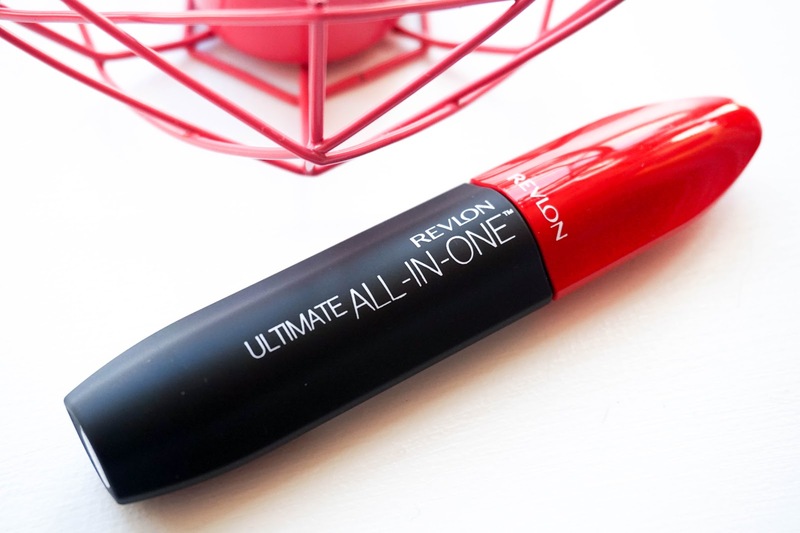 Last up I had a browse through Revlon's newest mascara releases and ended up picking out the Ultimate All In One Mascara, which I accidentally chose in the Brown shade (I usually opt for Black but I had no idea they even offered two shades until I was applying it). Despite the colour mismatch I actually really like this mascara... as you can see in the photos below it transforms my lashes. 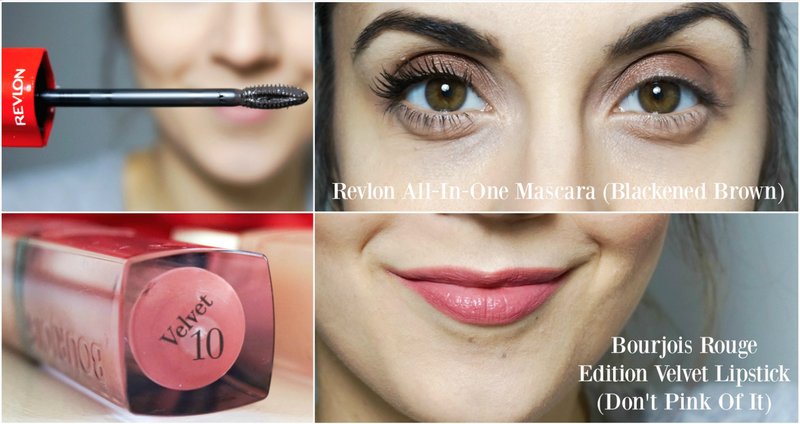 As the name suggests there's lift, volume and length added to my lashes instantly. The brush intrigued me as soon as I spotted it in store and I love how well it applies the product evenly without clumping. The formula at the moment is a little bit wet for my liking, but that shouldn't be a problem within a week or so. I also love the sleek packaging and it's definitely a range of mascaras you should check out, since there should be something for everyone.